A picture from an Islay walking week some years ago. This is somewhere along the Sound of Islay between Dunlossit and An Cladach, it could be Abhainn Gleann Logan, but possibly also further north. 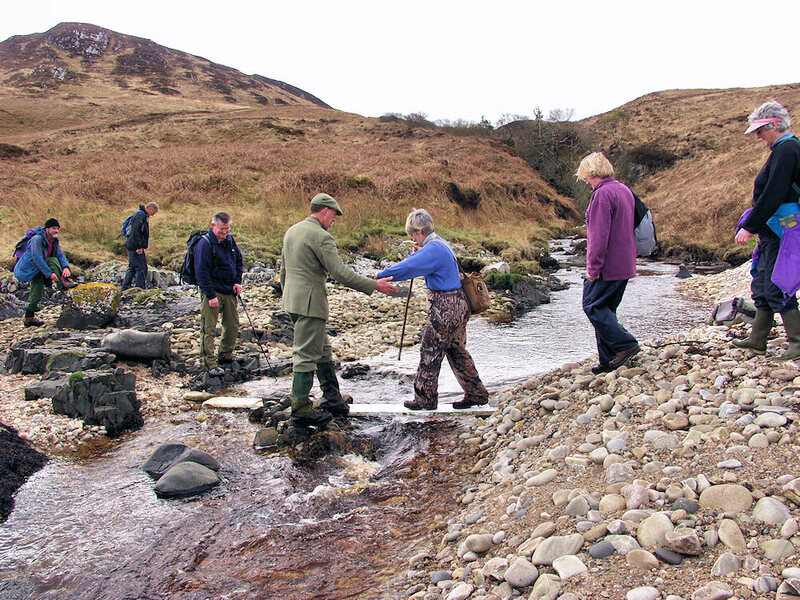 A plank was used as an improvised bridge to help the walkers cross the burn running down from the hills. This entry was posted in Cloudy Weather, Landscape, Repost and tagged burn, Islay, Sound of Islay by Armin Grewe. Bookmark the permalink.